Where can I get a basic understanding of vision concepts, refraction errors and how the EyeQue Personal Vision Tracker works? What am I tracking with the Personal Vision Tracker? What is vision tracking and why should I track my vision? How does the EyeQue Miniscope work? What is the difference between the Practice and Vision Tests? 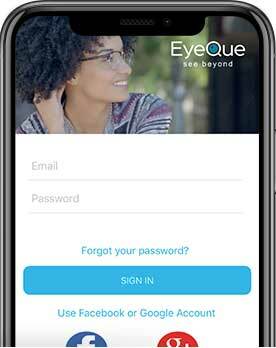 What information does EyeQue's vision Test give me? What is Pupillary Distance (or PD)? What can I do with the EyeGlass Numbers? 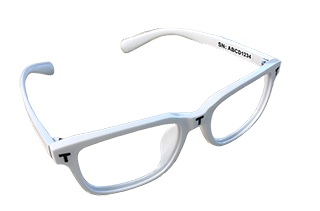 Can EyeGlass Numbers be used to order bifocal lenses? Is there a limit to how many tests I can take? Currently, there is no limit; you can take as many vision tests as you want, as frequently as you want, wherever you want. I made a mistake when taking the EyeQue Full Test. How can I delete my data or reset my account? What can cause my vision test to have poor results? How long does it take to complete a full EyeQue vision test? Where can I take the EyeQue vision tests? Can I use EyeGlass Numbers to order contacts?